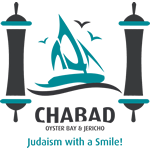 We at Chabad of Oyster Bay join you in hope and prayer as together we approach the new Jewish year of 5779. Join us this year to celebrate together in our synagogues, in our communities — and with your pre-holiday preparation. The prayers are warm. The melodies are timeless. The people are friendly. The kids have a program. And everyone feels at home. Welcome to high holiday services at Chabad Jewish Learning Center. Where we already saved you a seat. Suggested Donation: $99 per Seat. $40 per Child. Kids Program is from 11:00am - 12:00pm. In the late afternoon of Rosh Hashana, the entire community joins together in a proud procession for the observance of "Tashlich". Representing the themes of renewal and rejuvenation, this tradition also has a way of demonstrating a spirit of communal solidarity as young and old march and sing together while en route to perform a fascinating Mitzvah. Please join us for our wonderful High Holiday Meals full of inspiration, traditions and delicious food. The meals will take place at Rabbi Aaron & Chana Shain's home after the evening services.